Spread your sentiments of love and adoration on every occasion. Grand yet elegant, this flower bouquet blooms with soft color and beauty to express your sweetest sentiments. 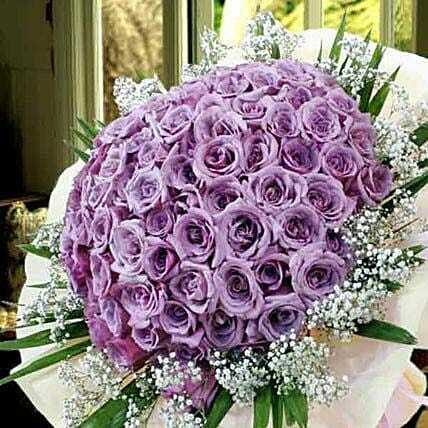 Add extra special touch with this unique bouquet of 99 purple roses.